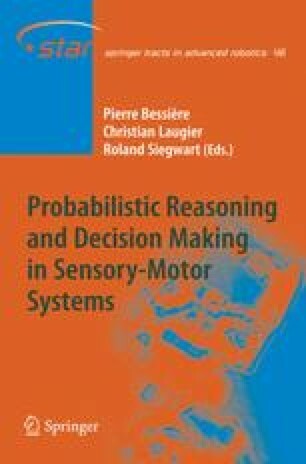 The purpose of this chapter is to introduce gently the basic concepts of Bayesian programming. After a short formal introduction to Bayesian programming, we present these concepts using three simple experiments with the mobile mini-robot Khepera. These three instances have been selected from the numerous experiments we have conducted with this robot for their simplicity and didactic qualities. A more extensive description of the work done with Khepera may be found in a paper in Advanced Robotics (Lebeltel et al., 2004) or, in even greater detail, in the PhD thesis of Olivier Lebeltel (Lebeltel (1999) in French). We also present the technical issues related to Bayesian programming: inference principles and algorithms and programming language. Although they are very interesting, we have kept this part very short, as these technical questions are not central to this book.